Elementary students in the state of New Jersey may soon have cause to rejoice: state legislators are trying to turn 20 minutes of daily recess into law, making outdoor play a mandatory requirement for all students from kindergarten through fifth grade. And according to the bill, recess can’t be taken away as punishment for breaking minor rules. But many states, locked into academic requirements and short on staff to adequately cover recess for hundreds of students at a time, may not be able to offer the same guarantee to their students. For many American students, time for recess is at an all-time low: Kids at low–poverty schools in Seattle average 16 minutes more recess than kids at the high–poverty schools. And for many urban kids in big cities like New York and Chicago, outdoor play during the school day is nonexistent. Yet a recent landslide of research showing the cognitive, social and emotional benefits of physical outdoor play for children continues to mount. Aside from keeping obesity at bay and providing a way to blow off steam, daily physical exercise has benefits that go beyond getting out the wiggles. Exercise and play make kids smarter and less depressed and anxious. In one study presented at the American College Sports Medicine’s annual meeting by Saginaw State University, researchers found students who “exercised vigorously seven days a week” had G.P.A.s 0.4 higher than those who didn’t -- and that was after researchers controlled for gender, sports involvement and study time. Mounting research on the connection between exercise and well-being has the American Academy of Pediatrics calling for all schools to have recess, calling it “crucial” to development and learning. While legislators and school leaders may have become aware of how important recess is to the health and well-being of children, many hurdles stand in the way of students getting more time to play during the school day. Boston University Psychologist Peter Gray, author of Free to Learn: Why Unleashing the Instinct to Play Will Make Our Children Happier, More Self-Reliant, and Better Students for Life, has spent his career studying and advocating for children’s free play. Gray has studied the link between a sharp rise in mental disorders and the decline of free play over the last 50 years. Even while he finds free play -- in which children make up their own games and rules without input from adults -- the most important for children, he admits that recess isn’t the ideal situation for many children to play freely. School principals know that elementary children need more recess, but between state academic requirements and staffing the playground, their hands are tied. Jerry Burkett, Director for College and Career Readiness (and former principal) for Grand Prairie ISD in Grand Prairie, Texas, said that, while he was principal, his students made it outside 150-160 days per year, because they have weather restrictions for both summer and winter. 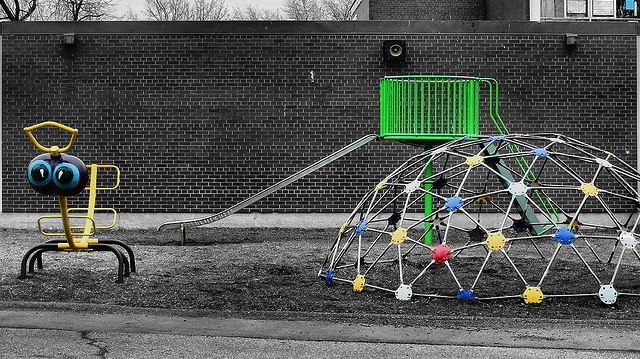 And while he feels that recess is “essential” for learning and wished his students got an hour a day instead of 20 minutes, there were too many obstacles in the way to make it happen. Yet learning to handle social and emotional problems is where lots of learning takes place, says third- and fourth-grade teacher Jaclyn Karabinas of Portsmouth, New Hampshire. Her wish for recess would be that schedules could be more flexible, so there wouldn’t be a rush back to instruction if time was needed to settle a dispute. As kids are building social skills, bumps in the road will occur, and teachers and staff have to be prepared to deal with emotions and feelings as kids argue over rules and fairness. Many American school districts will struggle this fall to get any amount of outdoor playtime, especially under time constraints and heavy budget cuts. Chicago Public School mom Vassiliki Kakavas said that her kids will only get recess this year if enough parents volunteer to supervise. But in Canada, they are taking a different approach to recess: a push to get more kids playing outside has resulted in the creation of nature kindergartens and outdoor schools in cities and suburbs alike, mixing the idea of academics and play in an outdoor setting. One Toronto school created an outdoor classroom for their kindergarten students, where they spent at least 75 minutes per day playing in sand, mud, snow, water and grass - no matter the weather. Even though no official data is yet available, teachers are reporting that students are more engaged, and their attention spans have increased both outside and inside, where they were eager to talk and write about their experiences outside. Students with autism and special needs have taken to the outdoor classroom the most, showing great improvement in their academic and social skills. The outdoor classroom extends beyond recess, and into learning - a combination that could only be beneficial for the bodies and minds of growing students.